Welcome to our first themed week. If you’re a regular pocketnannies reader you’ll know that Monday’s post featured some ‘Under the Sea’ Crafts. If not you can read that post here . Why not do the same and plan a trip to the Aquarium and then talk all things ‘under the sea’ with your little ones. 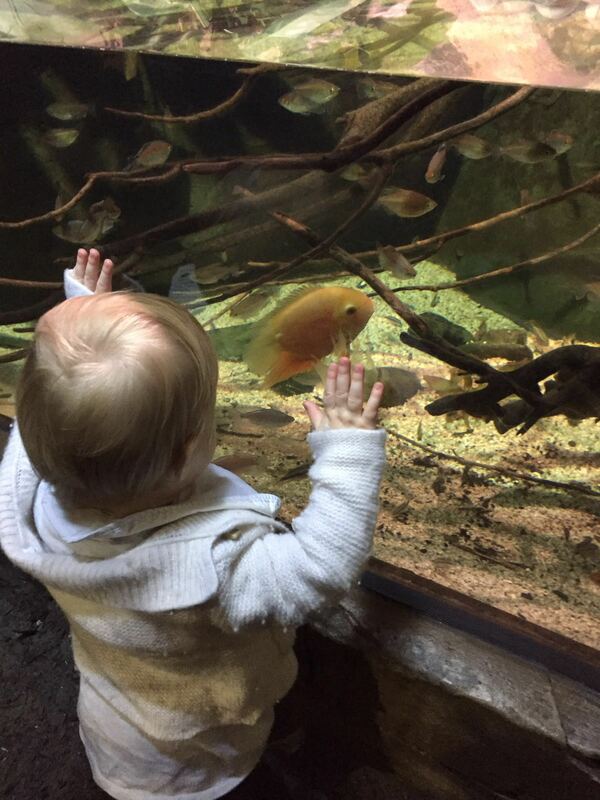 A couple of weeks ago two of our pocketnannies went to the London Aquarium with their little ones. You can find out more about the aquarium on their website here. We thought we’d give you a little insight into our visit. The London Aquarium is just a short walk away from Waterloo station on the ground floor of County Hall. It is easily accessible with buggies and wheelchairs as there are either ramps or lifts as alternatives to each set of stairs. You can explore the Aquarium at your own pace, there’s certainly a lot for children of all ages to enjoy. Even our little little ones (8 & 9 months old) were mesmerised by the tanks of colourful fish. Whilst our older ones enjoyed watching the rays, sharks and penguins. Children (and adults) can touch starfish and sea cucumbers. We highly recommend the London Aquarium – it makes for a different day out. You can definitely make a good morning out of it, although you may end up staying longer! We suggest avoiding visits during school holidays as places such as the aquarium can become very busy with tourists. Adults: £24.95 on the day. (From £19.95, if you book online in advance). Children: (aged 3-15) £19.95 (From £15.95, if you book online in advance). There are often deals on through the train companies if you are travelling into London via train.